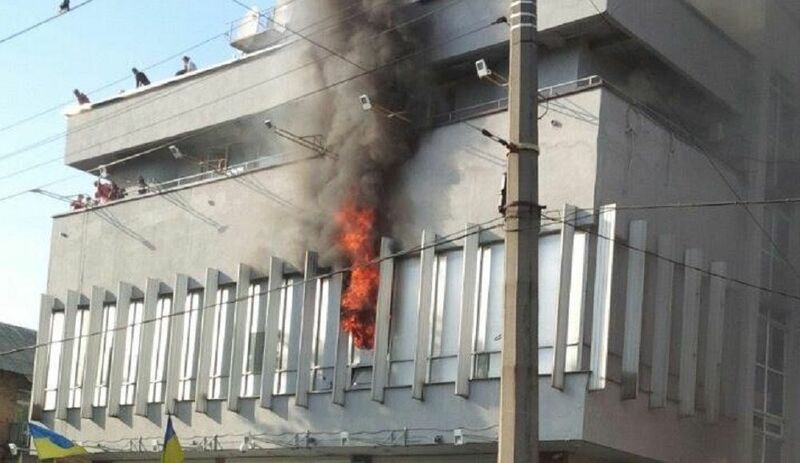 Car tires were set ablaze during a rally outside the building of Ukraine's Inter TV Channel on Sunday afternoon, while a fire broke out on the first and second floors of the facility, according to the Ukrainian Emergency Situations Service's Kyiv office. 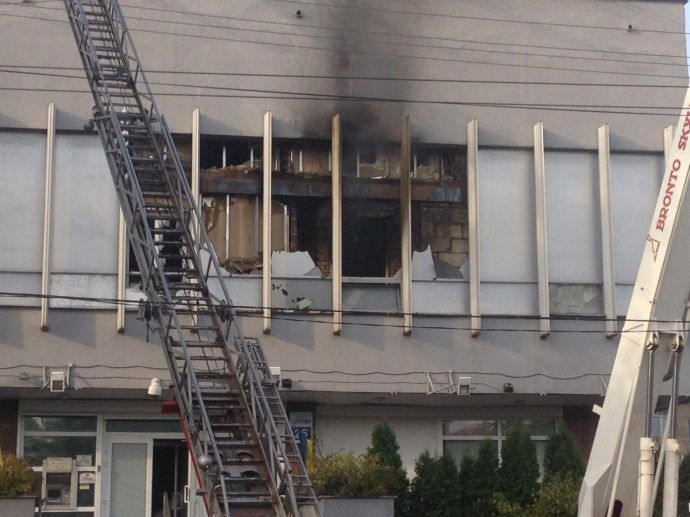 "At 16:31 local time on September 4, Kyiv Emergency Situations Service operators received a call about a fire that had broken out at a building of a TV channel at 26 Schuseva Street. Upon arrival at the scene, firefighters found out that car tires in two piles had been set ablaze during a rally outside the building and an external source of ignition brought [into the building] had caused a fire on the first floor on an area of about 10 square meters and on the second floor on an area of 20 square meters," the service reported. Firefighters evacuated 30 people from the building. "After a second attempt to bring an external source of ignition, premises on the second floor on an area of 60 square meters caught fire at about 17:00. The repeat fire outbreak was limited by firefighters at 17:33 and put out at 18:01," the service said. "Fifteen units of basic and special fire-fighting and rescue equipment and 57 firefighters were engaged in extinguishing the fire," it said. According to early reports, the cause of the fire outbreaks was an external source of ignition. Some media reported about the use of Molotov cocktail. Read alsoReuters: Sixteen killed in house fire in village near Kyiv"The final circumstances of the fire will be established by investigators," the service said. No deaths have been reported, however, medical workers said one woman was injured.